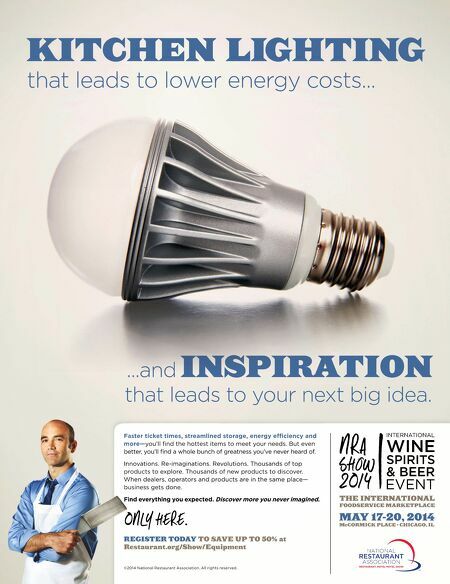 KITCHEN LIGHTING that leads to lower energy costs... ...and INSPIRATION that leads to your next big idea. 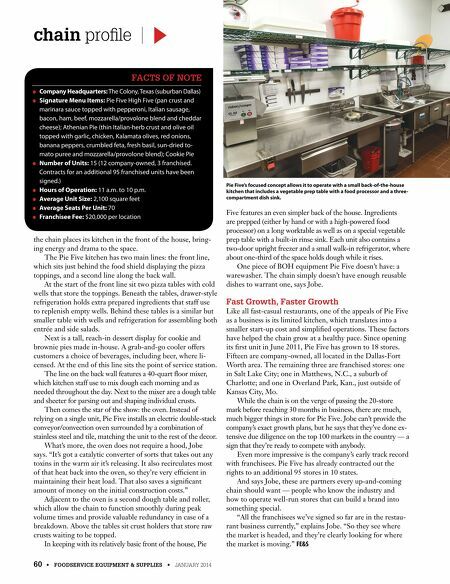 ©2014 National Restaurant Association. All rights reserved. Faster ticket times, streamlined storage, energy effi ciency and more— you'll fi nd the hottest items to meet your needs. But even better, you'll fi nd a whole bunch of greatness you've never heard of. Innovations. Re-imaginations. Revolutions. Thousands of top products to explore. Thousands of new products to discover. When dealers, operators and products are in the same place— business gets done. Find everything you expected. Discover more you never imagined . REGISTER TODAY TO SAVE UP TO 50% at Restaurant.org/Show/Equipment MAY 17-20, 2014 McCORMICK PLACE • CHICAGO, IL THE INTERNATIONAL FOODSERVICE MARKETPLACE 0nl y here.